Joseph M. Kuzelka, age 85, of York, died Thursday, June 1, 2017 at York. 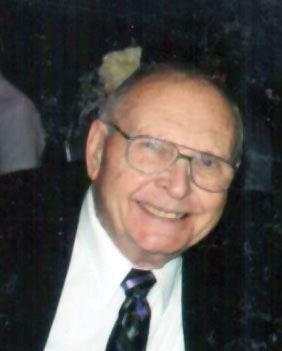 He was born on Dec. 23, 1931 to Joseph A. and Lillie (Suchy) Kuzelka. On Nov. 29, 1958, he married Lucille M. Howser, in Howells and to them four children were born, Steve, Gail, Julie and Tom. Joe served his country in the United States Navy during the Korean War, and was a member of the American Legion Bolton Post #19. He is retired from the Nebraska State Patrol and from Cornerstone Bank. He loved spending time with his family and he and Lucille enjoyed traveling. He is survived by his children, Steve (Carol) Kuzelka of Omaha, Gail (Jody) Staehr of York, Julie (Randy) Houser of Lincoln and Tom (Kim) Kuzelka of Omaha; grandchildren, Kevin (Marissa) Kuzelka of Omaha, James Kuzelka and fiancé Hannah Juracek of Houston, Texas and Peter Kuzelka of Lincoln, Cory (Mikayla) Staehr of Hastings, Alexa (Micah) Kreikemeier of Houston, Texas, Whitney Staehr of York, Garrett, Bailey and Sydney Houser of Lincoln and Lily and Kate Kuzelka of Omaha. Joe was preceded in death by his parents; wife; father-in-law; sister, Maxine K. Baumert and brother-in-law, Robert H. Baumert. A Mass of Christian Burial will be held 10 a.m. Tuesday, June 6, 2017 at St. Joseph Catholic Church in York with the Reverend Monsignor James Reinert officiating. Burial with full Military Honors to follow at St. Joseph Catholic Cemetery in York. A Rosary service will be held at 6:30 p.m. Monday, June 5, at St. Joseph Catholic Church, with family greeting friends after the Rosary. Visitation will be held from 1 -8 p.m. on Sunday and from 9 a.m. – 4 p.m. on Monday at Metz Mortuary in York. Memorials may be directed to the Joe & Lucille Kuzelka Endowment Fund, or to the family for later designation.